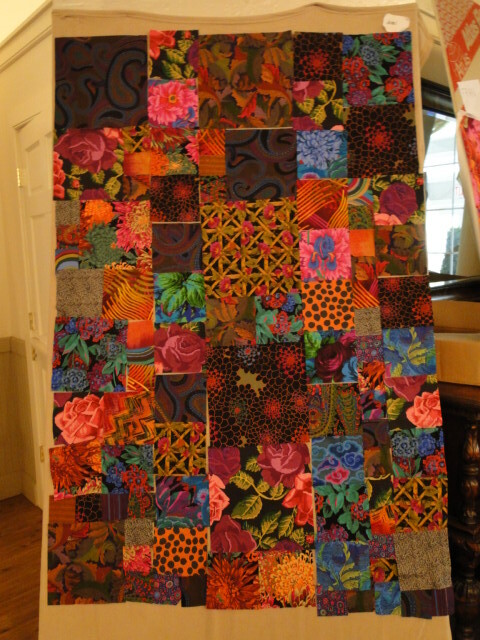 I had the chance to take two days of classes with Kaffe Fassett last week that were organized by Sally Davis. 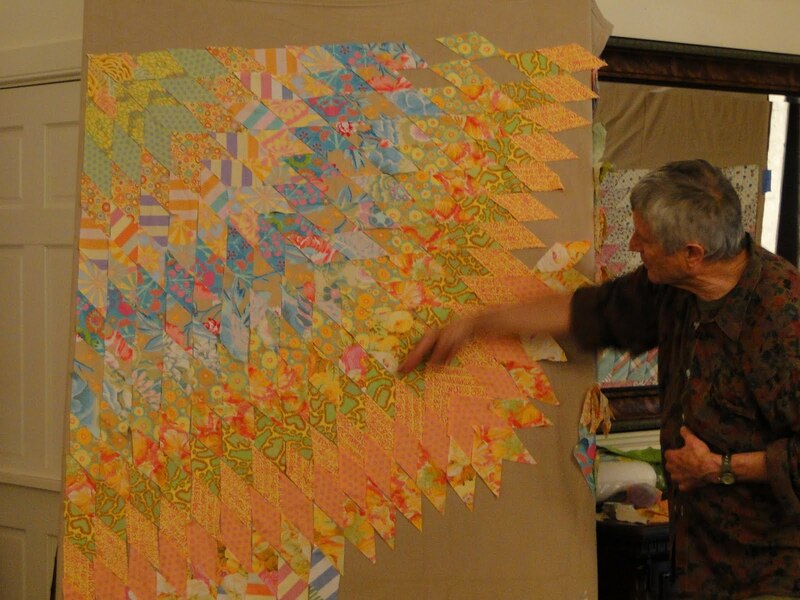 The first day we worked on his Big Bang quilt pattern from his book Caravan of Quilts. 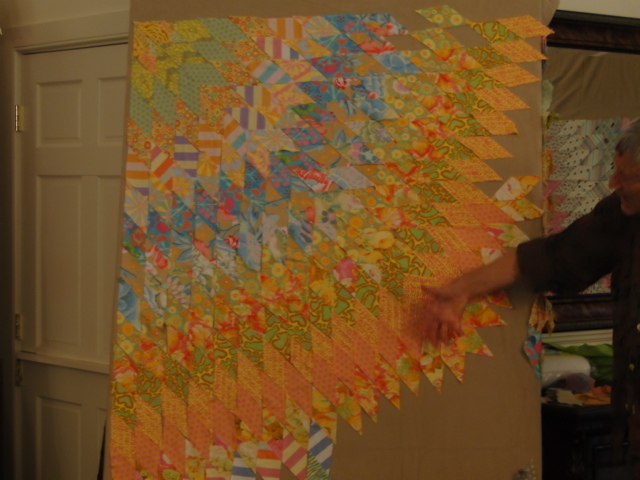 The second day we worked on a pattern from his new book that is coming out in September. I enjoyed the two days with Kaffe – it was a wonderful opportunity to work with him and gain a greater understanding of the use of color, value, and contrast. If you ever have the chance to take a class with him – do it! It is worth it. 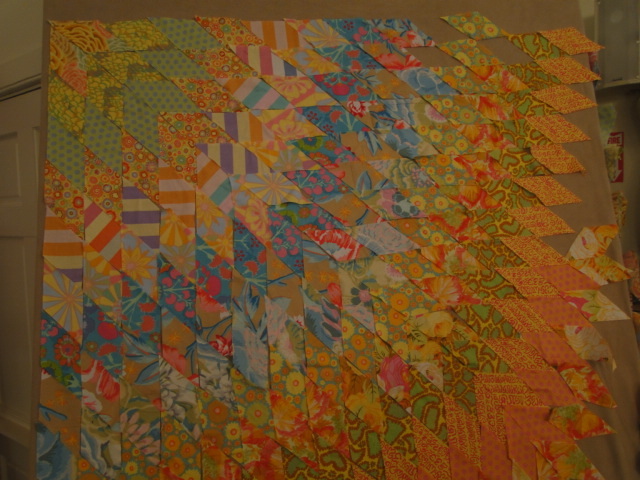 Here is a little video from the Red and White show for all of you Redwork fans.